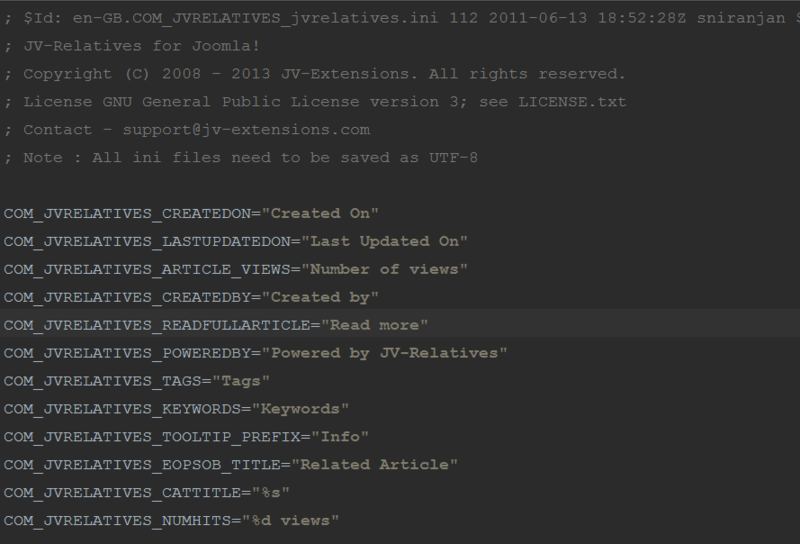 JV-Relatives comes packed with the English language file by default. If you would like to translate the language files of JV-Relatives (recommended is frontend files), then you may please follow this article. There are several providers and customers, who have shown interest and contributed with foreign language files for JV-Relatives. You may use them for JV-Relatives, or create one for your own language, if one for your language is not available, already. Save the language files in UTF-8 format without BOM. You may use Notepad++ for this as well and set the appropriate encoding.